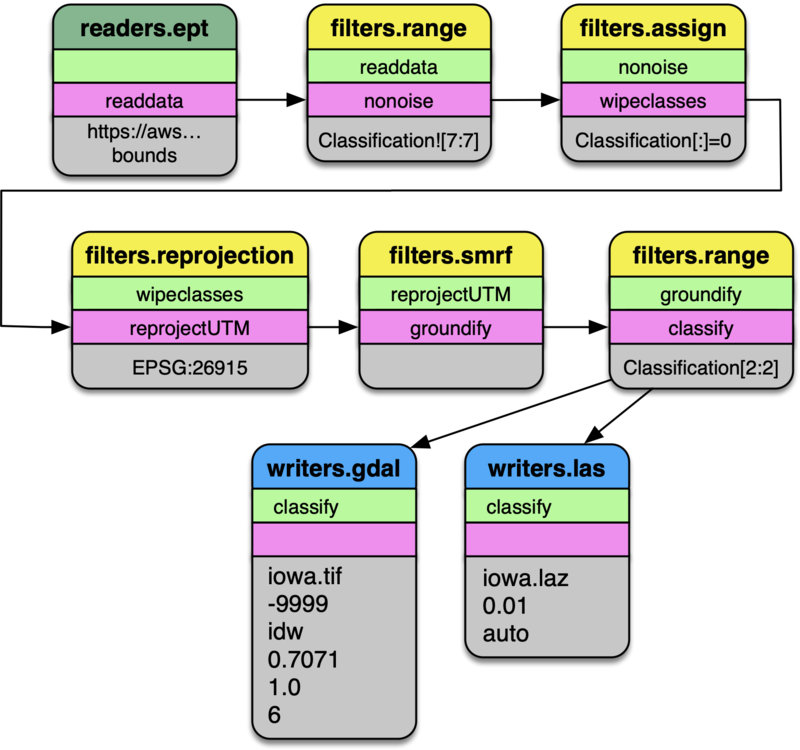 This tutorial describes how to use Conda, Entwine, PDAL, and GDAL to read data from the USGS 3DEP AWS Public Dataset. We will be using PDAL’s readers.ept to fetch data, we will filter it for noise using filters.outlier, we will classify the data as ground/not-ground using filters.smrf, and we will write out a digital terrain model with writers.gdal . Once our elevation model is constructed, we will use GDAL gdaldem operations to create hillshade, slope, and color relief. We first need to install PDAL, and the most convenient way to do that is by installing Miniconda. Select the 64-bit installer for your platform and install it as directed. Once you confirmed you see output similar to that in your shell, your PDAL installation should be good to go. PDAL uses the concept of pipelines to describe the reading, filtering, and writing of point cloud data. We will construct a pipeline that will do a number of things in succession. Pipeline diagram. 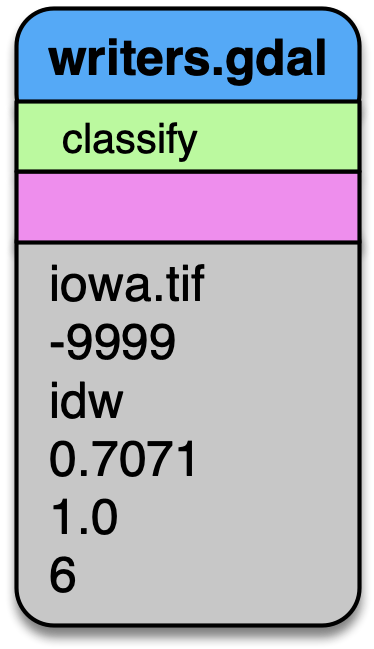 The data are read from the Entwine Point Tile resource at https://usgs.entwine.io for Iowa using readers.ept and filtered through a number of steps until processing is complete. 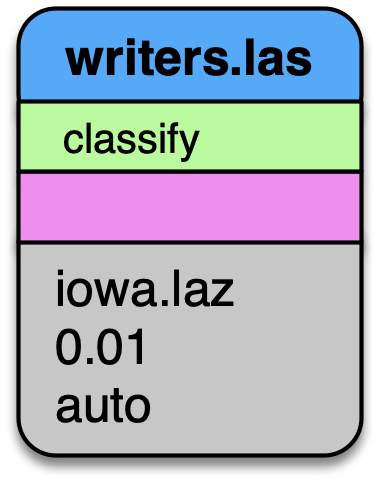 The data are then written to an iowa.laz and iowa.tif file. 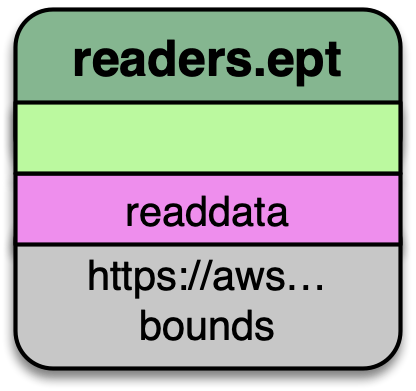 readers.ept reads the point cloud data from the EPT resource on AWS. We give it a URL to the root of the resource in the filename option, and we also give it a bounds object to define the window in which we should select data from. The bounds object is in the form ([minx, maxx], [miny, maxy]). The EPT reader reads data from an EPT resource with PDAL. Options available in PDAL 1.9+ allow users to select data at or above specified resolutions. 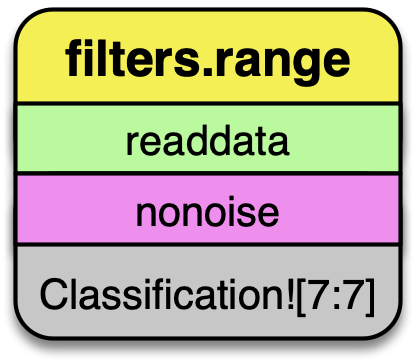 The data we are selecting may have noise properly classified, and we can use filters.range to keep all data that does not have a Classification Dimensions value of 7. The filters.range filter utilizes range selection to allow users to select data for processing or removal. The filters.mongoexpression filter can be used for even more complex logic operations. After removing points that have noise classifications, we need to reset all of the classification values in the point data. 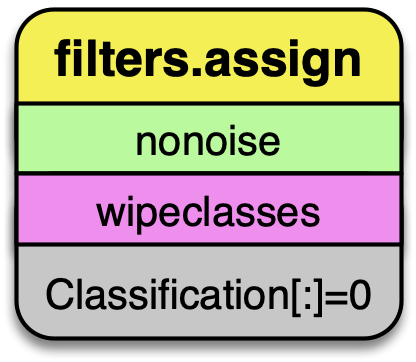 filters.assign takes the expression Classification [:]=0 and assigns the Classification for each point to 0.
:ref`filters.assign` can also take in an option to apply assignments based on a conditional. If you want to assign values based on a bounding geometry, use filters.overlay. The data on the AWS 3DEP Public Dataset are stored in Web Mercator coordinate system, which is not suitable for many operations. 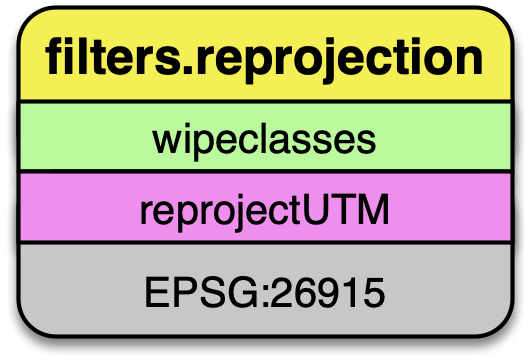 We need to reproject them into an appropriate UTM coordinate system (EPSG:26915). 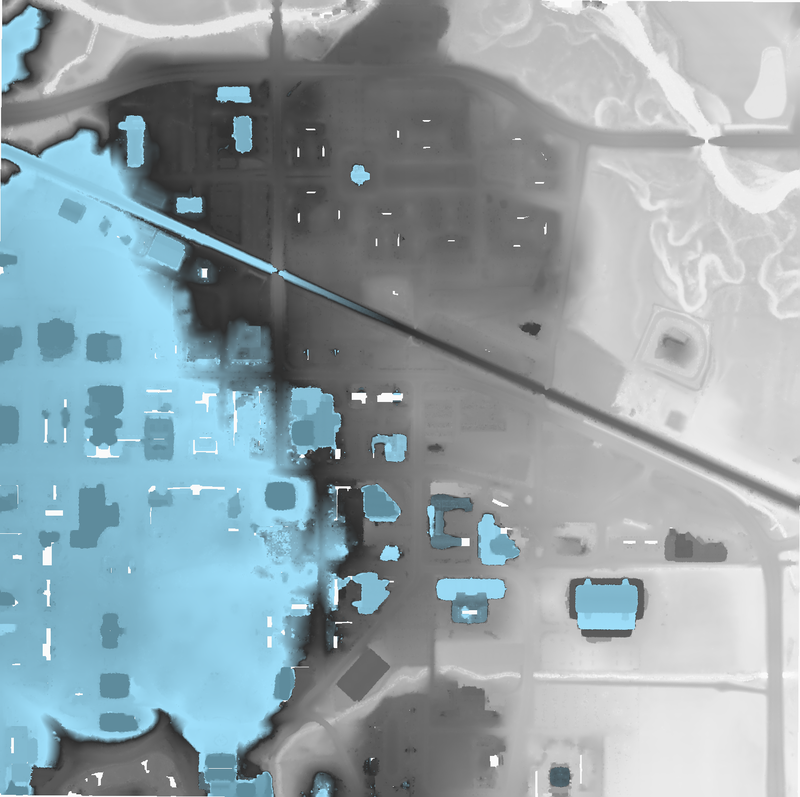 filters.reprojection can also take override the incoming coordinate system using the a_srs option. 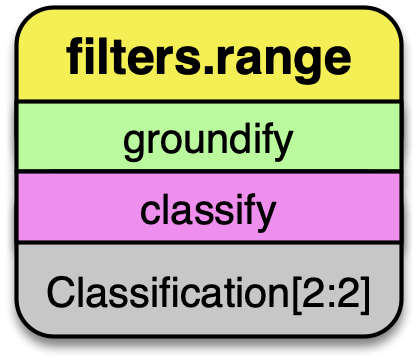 The Simple Morphological Filter (filters.smrf) classifies points as ground or not-ground. 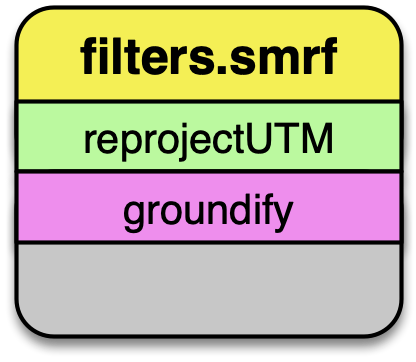 filters.smrf provides a number of tuning options, but the defaults tend to work quite well for mixed urban environments on flat ground (ie, Iowa). After we have executed the SMRF filter, we only want to keep points that are actually classified as ground in our point stream. Selecting for points with Classification[2:2] does that for us. Remove any point that is not ground classification for our DTM generation. Having filtered our point data, we’re now ready to write a raster digital terrain model with writers.gdal. Interesting options we choose here are to set the nodata value, specify only outputting the inverse distance weighted raster, and assigning a resolution of 1 (m). See writers.gdal for more options. Output a DTM at 1m resolution. We can also write a LAZ file containing the same points that were used to make the elevation model in the section above. See writers.las for more options. Also output the LAZ file as part of our processing pipeline. Add the --debug option if you would like information about how PDAL is fetching and processing the data.